Was very intrigued with the picture and it goes perfect with my decor. The family enjoys the 3D picture which complements the style. This user was entered into a sweepstakes after submitting their honest review. Dimensions 28.0 In. X 36.0 In. X 1.0 In. I love to decorate my home. 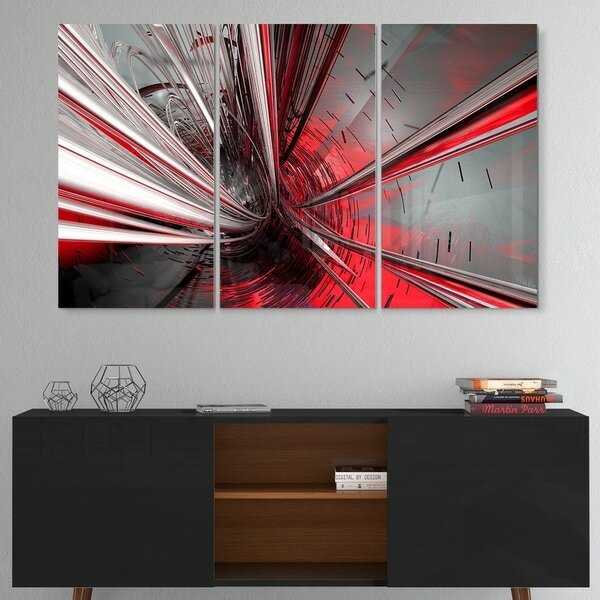 This abstract art is beautiful and will make a room pop. It has a nice glossy finish that give a richer look to the art. Was very intrigued with the picture and it goes perfect with my decor. The family enjoys the 3D picture which complements the style. It was supposed to be red, but it was more hot pink with light pink scattered throughout.